Hello TT & J readers! It’s Kristin here from Yellow Bliss Road, where you’ll find holiday preparations are in full swing! 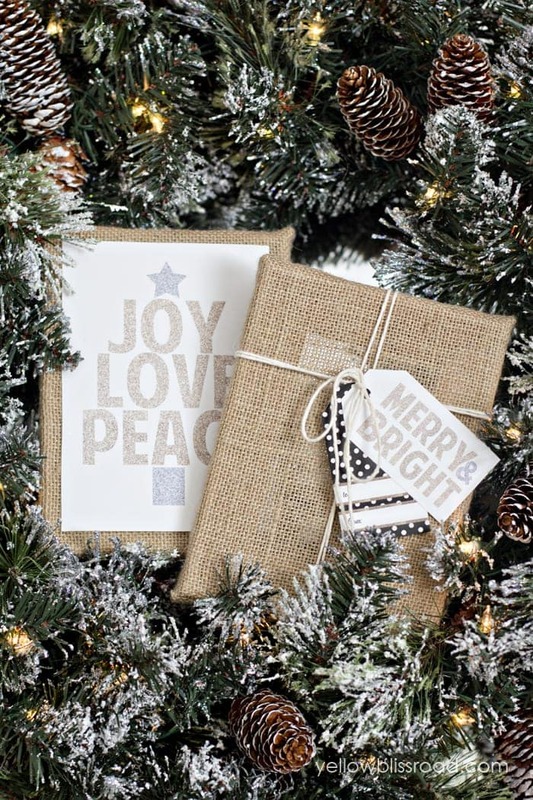 There are tons of inspiring ideas for Christmas in my Hello Holidays series. Today I’m sharing a sneak peek of my Christmas mantel and an adorable printable set, and guess what?? I’ve got some free printables for you, too! I have been obsessed with metallics lately – shiny, glittery golds and silvers really can make my heart go pitter-patter! In fact my Christmas tree is covered in golds, and whites. Isn’t it funny how our tastes evolve as we grow older? I used to really dislike gold, copper and really any warmer tones. Now I’m completely the opposite. I’ve been attracted to a more modern look as well (another style evolution), so I decided to marry the two and create this beautiful modern/glam printable gift tag set. I used a couple of the tags along with the sign to dress up my Christmas wreath on my mantel. See? Tags aren’t just for gifts! I’m calling my my brown paper packages Christmas wreath. (Just try not to get that song stuck in your head now – I’ve been singing it all day!). Thanks again for letting me stop by Jen, it’s been fun – can’t wait to see you all again next month with another fun printable…I’m thinking New Years! I love her Holiday Tradition idea of watching Christmas movies as a family. She even has some fun FREE Christmas Movie Night Printables like this one to get you started! Her recipe always look amazing too. These Snowball Cookies would be so fun to give to friends and neighbors! She also has a fun post on How to Host the Holidays like a Pro with tons of planning printables like these. So cute! I love the fabric of the packaging. It as a nice, natural look that I appreciate very much. Nice post and thank you for sharing the tags! Very pretty labels. Nice combination of colors! Diana recently posted…Staying Healthy and Active with Cheerios and Usher! 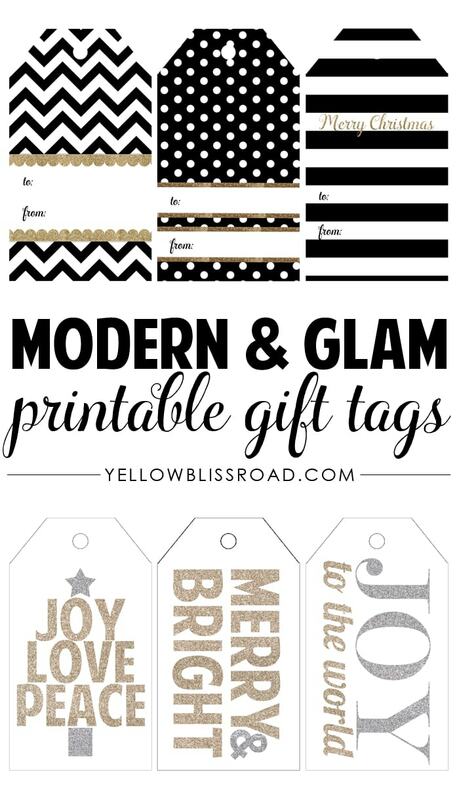 These are the prettiest gift tags! Thank you so much for sharing. The christmas movie checklist will definitely come in handy, I try to watch every Christmas movie each year! 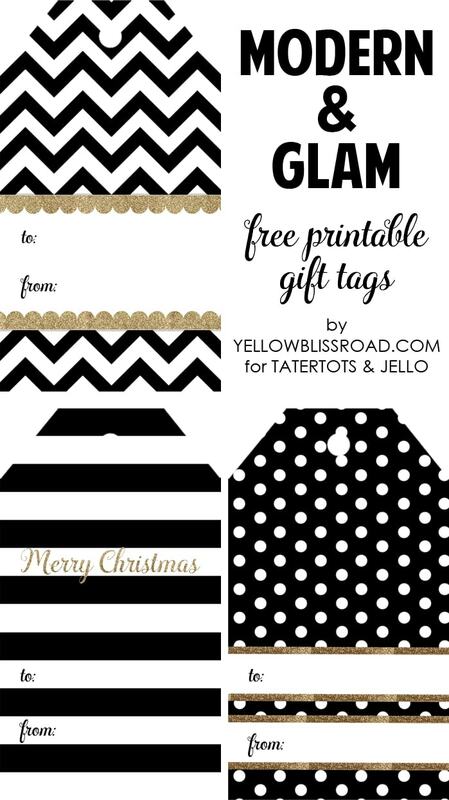 Love free printables and these tags are so cute!! Thanks! I absolutely love the gift tags! Thanks!